I came up with the concept of steaming back in 2005 and I had already made some successful mixes which I had been using in my fishing for over a decade prior to the idea to steam my baits, and from there it’s grown from a few extra bites into a full time job making and supplying the highest quality bait direct to the public. Since using Steamies I’ve had so much success, a few memorable captures spring to mind like when I had a brace of Uk 30lb commons side by side in the net together from Frimley pit three, I’ve had a big brace from Abbey Lakes containing both a common and mirror to 42lbs, along with a nice brace of 30+ mirrors from Gran Canaria too. 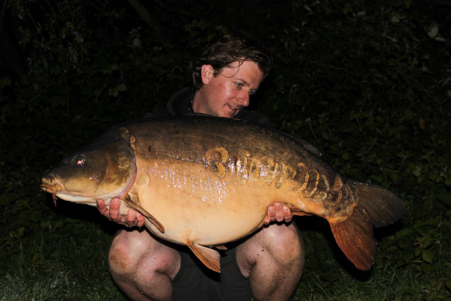 Most recently I had B’s fish from Sky Lake @60.08 and then bagged an unknown mirror of 55lbs less than 5 hours later. With the massive range of totally unique products, all of which have been put together by the Team, makes it easier to stay on top of my game and keep stacking up the kippers in my photo album. Best of all myself and the team are on hand every day to share our edges, baits & tactics to guarantee you catch more fish. How often do you fish: I fish every weekend unless i am working. variety of Steamed baits and other products from the Steamies vast range I’ve been consistently catching fish since. 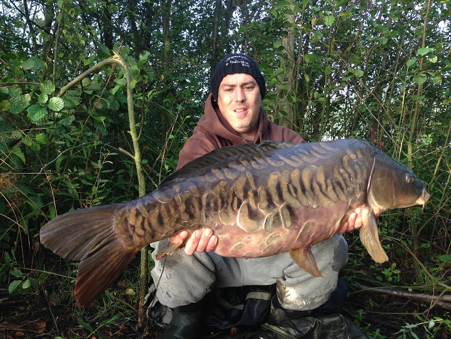 Kristian’s knowledge of baits is extensive and he is always coming up with new ideas and innovations. I have fished since I was 5years old, I only got into carp fishing about 10 years ago. How often do you go fishing? Having a young family and a job means fishing time is seriously restricted! I tend to fish quick overnighters arriving just before dark and leaving early morning, I try and get out on the bank at what I feel are the best times, generally spring and autumn and will fish 2-3 nights a month. During winter I tend to try and earn brownie points by doing short day sessions rather than nights. Although at times I look at other anglers with a lot more time at their disposal and can’t help but feel at a disadvantage, I think that having very little time can make you more focused and determined to make the most of every opportunity. I always travel very light taking minimal kit and will think nothing of moving three or four times during an overnighter. Why Steamies? About four years ago I started fishing a southern club lake, initially just doing days. It wasn’t the easiest of waters and I knew I would have to work hard to get results. Being mobile and getting on the fish as often as possible meant I soon started to get among the residents. I was catching most of my fish on adjustable zigs with fish up to mid-thirties and although a few fish came off the bottom I always felt that I should have been getting more action. It was at this point I started to think about bait as I knew my rigs worked and I was on fish, bait was the only possible weakness. It was at this point I started to look at Individual baits. EU PB: 56lb 12oz Due to work Commitments I usually on have two nights per week to go fishing and if work permitting weekends. During the week it means setting up under the cover of darkness and leaving under the cover of darkness which means I have limited time and so makes me work harder. I was recommended to steamies by a friend, so i went along to the shop and met Kris, the owner, and was instantly impressed with his enthusiasm and knowledge, its just gone on from there. Since being on Steamies my catch rate has doubled, there’s a massive range available which all have a proven track record and there’s always something to give you an edge to the guy next to you on the bank. I first came aware of steamies when out fishing one winter and got to meet one of the team on the bank. We got talking about all thing carp and ended up getting onto the subject of bait . He started telling me about steamies and I decided to give it ago so went up the shop to meet the guys and get some bait and have not looked back since . I am very impressed with the bait and can’t see myself ever changing . It has increased my catch rate so much . 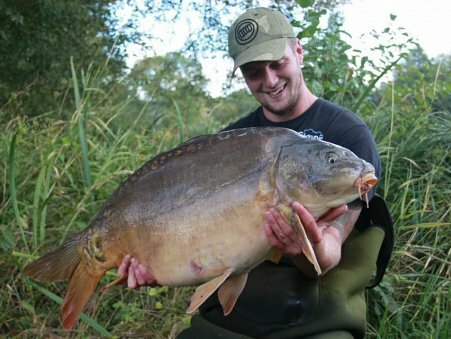 The bait seems to get results on every lake from pressured day tickets to syndicates. Steamed baits are the way forward. Much of my fishing is done on quick over nighters or weekends due to busy work life and a young family just shows with the right bait you don’t need to spend every hour on the bank to get results .on a recent day session I managed to have 46 bites in 9 hours landing 42 fish with the smallest fish being 14lb up to mid 20s what goes to show how good the bait is . I have been fishing for about 5 years now and have to say I am hooked. Due to work commitments I very rarely get the opportunity to fish long sessions. The majority of my fishing is quick overnighters between work or 24 hour sessions at the weekends. Why steamies ; After meeting one of the steamies lads at a lake I was fishing at the time. I got talking to him and he recommended that I should give steamies a go . That was almost a year ago now and have not looked back since. In my opinion the diverse product range that Steamies offer is out there with some of the best. My personal favorite being CNO which although being new to the range has smashing up lakes all over the country and Europe. I have been having fun with my fishing for over twenty years. I started just like all young lads down the local river fishing for anything that came along to progressing onto farm ponds floating crust in the margin. Which is still one of my favourite way to catch them! UK PB Common: 57lb 4oz UK PB Mirror: 49lb 8oz In between running a business, my German Shepherd, and spending time with my wife and daughter, fishing can be short. I try to fish an overnighter once every few weeks or when an opportunity looks prime. I maximise my chances by remaining mobile and preferring a stealthy approach by catching them in the edge! Individual baits offers a fantastic range of products, not just tried and tested bait recipes but particle, nuts, liquids, pellets and pop ups! All my needs are covered! Since joining the team over the last 18 months I have really enjoyed myself. 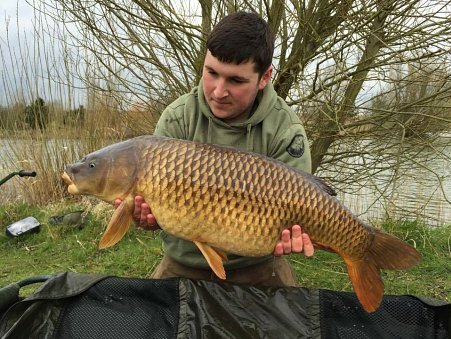 Managing to catch over eight different UK 40’s including a common at over 51lb! These results just give me total confidence in my choice of bait. 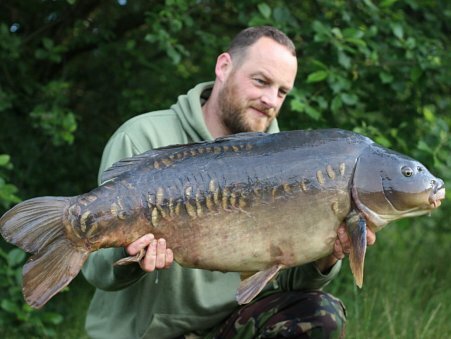 “I started my angling journey many moons ago fishing local beaches and piers with my father. The seeds of my obsession for carp were planted 24 years ago when a friend introduced me to his parent’s pond that was about half an acre and full of carp to 10lb. From then on I have fished many local waters for other species along with the search for larger carp with some success I might add????. My angling started to really evolve around 19 years ago upon joining my first syndicate. Since then I have enjoyed the challenge of more difficult waters and the many trials and tribulations they bring with them. I have been fortunate enough to catch six English forties. With Pb common carp 42lb 2 and Pb mirror carp 45lb 8. I only have very limited angling time due to a small family which means I get out on the bank for short overnighters in between work and I know by using Steamies that im using a high quality food bait that’s retained much of its goodness due to the steaming process that’s not only extremely attractive to carp but goes from strength to strength on waters year after year. The range offers me versatility so if im fishing for runs to test out rigs or waiting for the resident biggun to come along I can safely say im 110% confident in my bait choice and just have to worry about location. I look forward to becoming a part the Steamies family and I’m excited to see what the future brings along with this new opportunity.